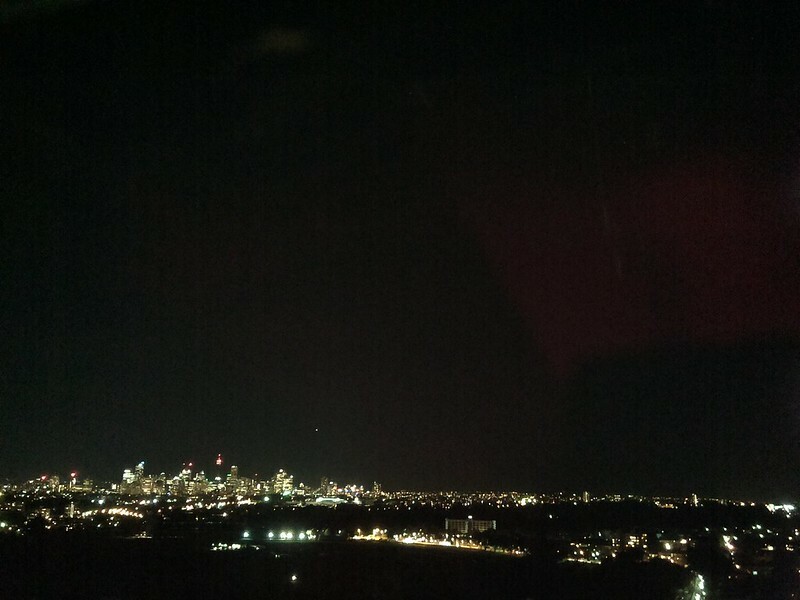 View of Sydney shot from a weather station on top of the Mathews building at the University of New South Wales, Kensington. Shot taken by the Climate Change Research Centre (ccrc.unsw.edu.au) at 2016 Jun 28 21:48. Image published by ccrc_weather on 2016-06-28 11:48:07 and used under Creative Commons license.